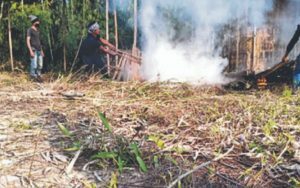 The Assam-Nagaland inter-state boundary area of Lirmen village once again turned volatile on Thursday after labour camps, tools and materials were destroyed, purportedly meant for the construction of an Assam police outpost under Lirmen village jurisdiction at Longchem Tehsil in Mokokchung district. 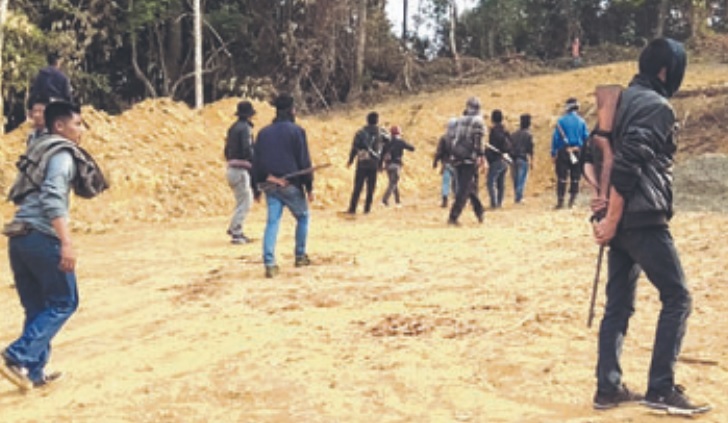 In a statement issued to the media later on Thursday afternoon, Lirmen Senso Mungdang (LSM) president I Moatemjen and secretary Imnatongzuk informed that an emergency meeting of the senso was held on January 21, wherein the village resolved to ‘thwart any construction along the border area of the village jurisdiction’. LSM said that the village council members along with EAC Longchem and a platoon of IRB personnel rushed to the site to take stock of the situation. It was also informed that Assam police had sent additional force to the border. Meanwhile, LSM had appealed to the people to join hands and cooperate with the Mungdang to oppose any move of Assam Police to build their camp under Lirmen village jurisdiction. It also appealed to the law enforcing agencies and the state government to look into the matter at the earliest. Further, LSM has also advised travellers passing through the area to be cautious. However, the situation was brought under control, but simmering tension still prevails.